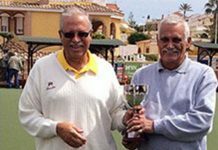 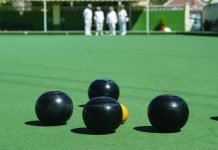 Home Sport Bowls Mixed Triples Calpe Open. 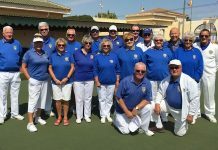 Sixteen trips teams from clubs in the Costa Blanca Northern League assembled at Calpe Bowls Club early Sunday morning to play in the popular annual mixed triples Calpe Open. 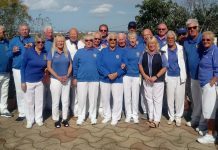 The event was played under all day blue skies and watched throughout by visitors walking along the promenade, in the shadow of Penyal d’Ifac. 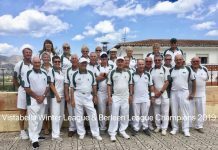 With just four rinks at Calpe BC the game is played with two groups of eight teams playing four fifty minute games alternately. 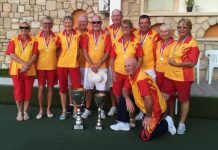 Whilst one group was playing the other group could retire to adjacent cafes, walk on the beach and even had the opportunity to watch the hundreds of runners passing along the promenade in the Calpe fun run. 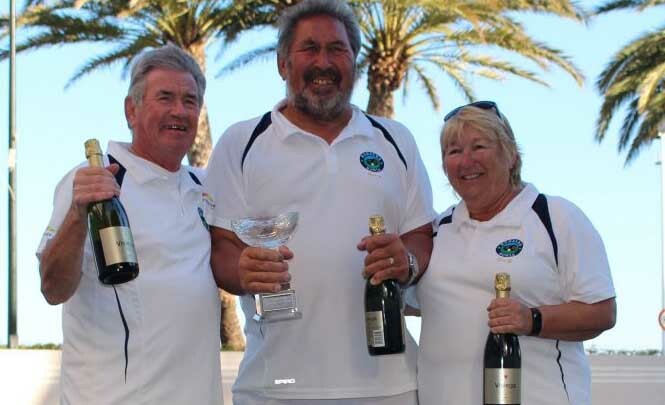 After eight hours of competition the winners were Barry Watson, Sue Green and Trevor Green from Bonalba Bowls Club and the runners up were Jean McLaughlin, Chris Salter and Chris Evans from Javea Green Bowls Club. 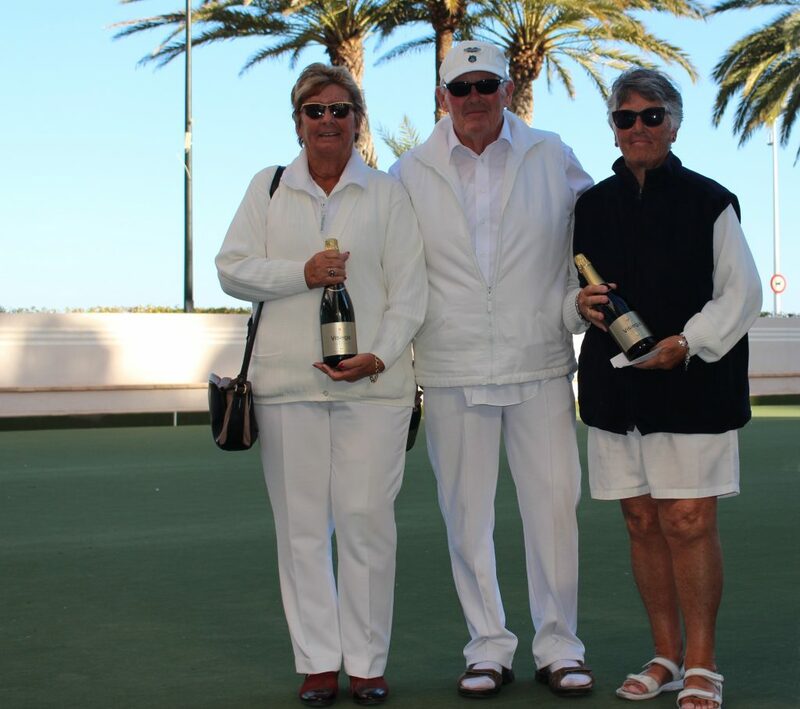 Prizes were presented in the long shadows of the setting sun and competitors then made their ways home after an enjoyable day at Calpe Bowls Club. 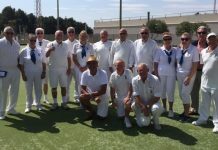 Next articleHondon (With A Little Help From A Friend!) 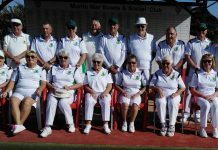 Help Themselves to the Points. 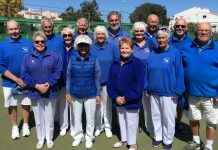 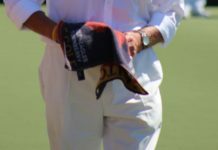 San Luis Bowls Club Report 26.10.18.